Sustained interactions and responses to social bids made by children with autism and verbal-age–matched children with mental retardation were recorded in two naturalistic settings. 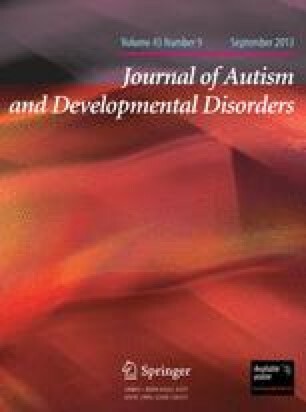 Children with autism produced fewer positive responses and more “no responses” than children with mental retardation; both groups were more likely to make positive responses to adults and not to respond to other children. Furthermore, although the frequency of conversations was not different for the two groups, children with autism were significantly less likely to engage in sustained play compared to children with mental retardation. Results suggest that children with autism are able to master the more rote and need-oriented social skills, such as simple conversation, but may not develop other forms of social interactions, like play.